Revealed today are details of a huge Pink Floyd release schedule, featuring all the studio albums newly remastered including unreleased music from the archives and collectors' box sets. With three of the major titles coming in three different editions each, there's an edition for every level of fan, from casual enthusiast, to the biggest Floydheads! The comprehensive release schedule kicks off on September 26, 2011, and encompasses CDs, DVDs, Blu-ray discs, an SACD, an array of digital formats, viral marketing, iPhone Apps and a brand-new single-album 'Best Of' collection. Vinyl editions are also in the works for release in due course. This is a single CD collection featuring a tracklist chosen by Pink Floyd, and featuring newly created artwork from Storm Thorgerson. All tracks remastered by James Guthrie in 2011. The tracks are: Hey You / See Emily Play / The Happiest Days Of Our Lives / Another Brick In The Wall part 2 / Have A Cigar / Wish You Were Here / Time / The Great Gig In The Sky / Money / Comfortably Numb / High Hopes / Learning To Fly / The Fletcher Memorial Home / Shine On You Crazy Diamond (edit) / Brain Damage / Eclipse. 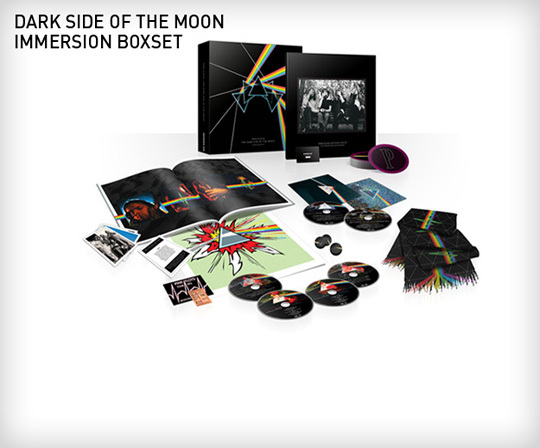 Every EMI-released album in the Pink Floyd catalogue will be released as a Discovery edition. 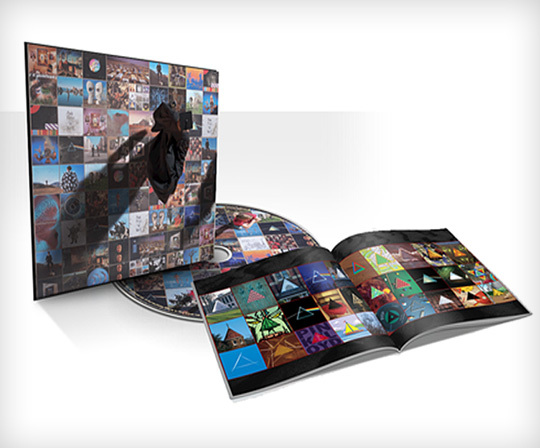 All 14 original Studio albums have been painstakingly digitally remastered by James Guthrie, and are reissued with newly crafted packaging and multi-page booklets created by the band's long-time artwork collaborator Storm Thorgerson. This gathers together all fourteen studio albums in their Discovery edition version, into one newly designed box, with a specially designed booklet. 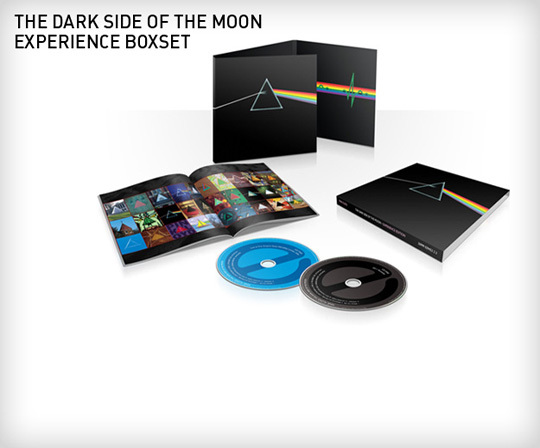 Disc two features the November 1974 Wembley concert recording by the BBC of The Dark Side of the Moon. Disc three's contents are yet to be officially announced. 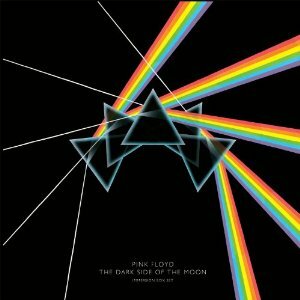 These editions will prove tempting to those fans who don't go for the Immersion editions...which, as you'll see below, go to new lengths never before seen in Floyd releases! Short filmed extract of Earls Court concert featuring animation. This set comes with a 44 page, 27cm x 27cm booklet designed by Storm Thorgerson, an exclusive photo book, an exclusive Storm Thorgerson Art Print, 5 x Collectors’ Cards featuring art and comments by Storm Thorgerson, a replica of The Wall tour ticket, a replica of The Wall backstage pass, a scarf, prints/cards of Mark Fisher's stage drawings, 3 x white marbles with design of bricks, 9 x Coasters (unique to this box) featuring early Storm Thorgerson design sketches, and a credits booklet. So, as you can see, even just from the announced material found on these sets, they would appear to be superb collections of rarities, and it is great to see that the vaults have finally been raided for unreleased material. For those who have been, for a few years now, eagerly awaiting the SACD of Wish You Were Here, we have the excellent news for you that it is indeed on its way! The 5.1 SACD will be released by Acoustic Sounds, with the mix done by James Guthrie, and produced by Gus Skinas at the Super Audio Center. We will hopefully have the release date along with ordering information for you shortly. Pre-orders for the various editions are starting to appear, and to help you, we've gathered together the various links for the editions on offer. Purchasing through the links on our site will give much appreciated assistance towards things like hosting fees, without costing you any extra on your order.